Clear your calendar - It's going down! Madison V2 kicks off on April 20th, and you're invited to take part in the festivities. Splash HQ (122 W 26th St) is our meeting spot for a night of fun and excitement. Come one, come all, bring a guest, and hang loose. This is going to be epic! Stowaway’s Summer Pop-up Tour kicks off on June 23rd and San Francisco is our first stop. You're invited for an evening of makeup touch-ups with Stowaway and DIY makeup bags with Brit+Co. It's a night to gear up for all of your Summer travels. Come one, come all, bring a guest, and make your makeup bag a little less cluttered. Chelsa began her career as a makeup artist before working on product education for Clinique Cosmetics. With a lifelong passion for the fashion industry, she later worked alongside Francisco Costa at Calvin Klein Collection, improving her skills and experience as a successful fashion stylist. Not wanting to give up on her love of beauty, Chelsa explored her editorial skills by joining the Bobbi Brown Cosmetics team, while working freelance as a beauty and fashion stylist. Immersed in the industry, Chelsa became increasingly frustrated by having to carry around cumbersome products made of heavy glass jars and clunky packaging. When she couldn’t find prestige products in smaller sizes to lighten her load, she decided to create her own. 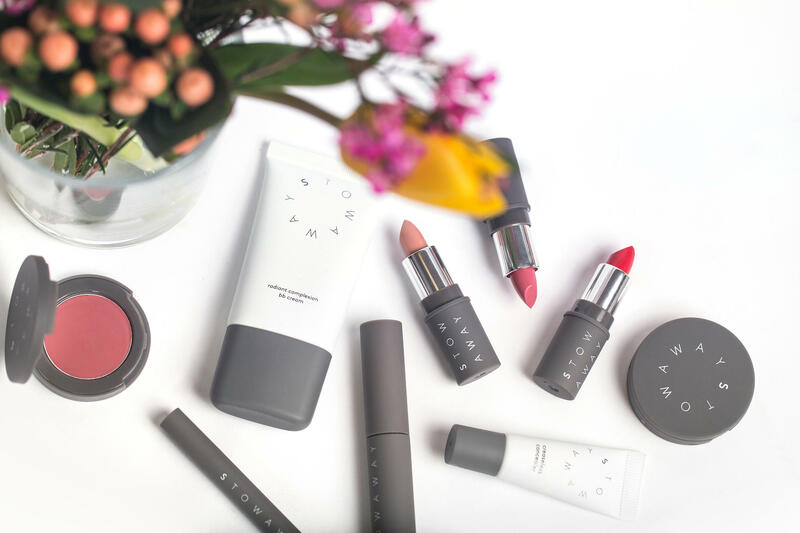 Drawing on her beauty know-how, her vision is focused on daily essential products that can go with you anywhere.